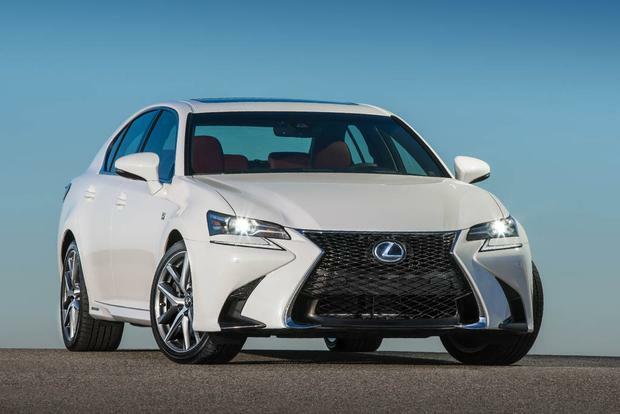 Having made steady improvements over the years, the 2018 Lexus GS holds its place as an excellent midsize luxury sedan choice. 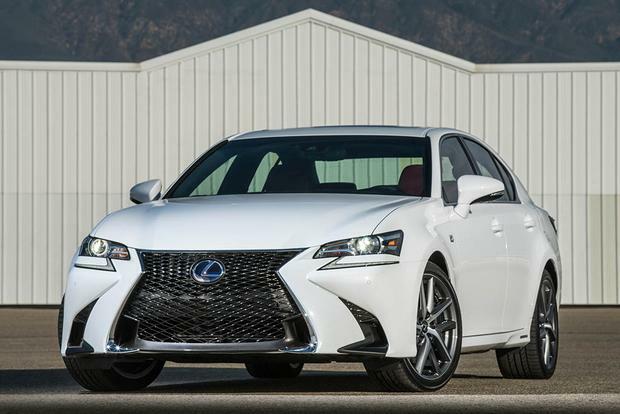 The 2016 Lexus GS midsize luxury sedan adds the GS 200t model to its impressive portfolio. Lexuses aren't usually weird -- and yet, I've tracked down a few odd ones for sale on Autotrader. The 2017 Lexus GS midsize luxury sedan has evolved into a resounding success. This generation launched in 2013 and it has improved step by step with each model year. The suspension feels like something straight out of Germany, conveying substance and control in equal measure. Steering response is just as impressive, particularly with the F Sport model's active rear steering system. Even the interior suggests a German influence, reminding us of the previous-generation BMW 5 Series with its top-quality materials and restrained design. We do have reservations, though. The edgy exterior styling, for example. And some rivals are faster. But the overall package of the GS, including its strong resale values, makes a compelling argument. The rear-drive-only GS 200t has a turbocharged 2.0-liter 4-cylinder engine making 241 horsepower and 258 lb-ft of torque. The Environmental Protection Agency (EPA) estimates fuel consumption at 22 miles per gallon in the city, 32 mpg on the highway and 26 mpg in combined driving. 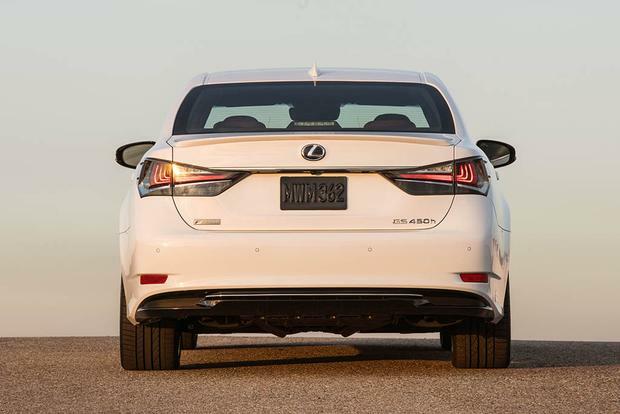 The F Sport variant returns 21 mpg city/30 mpg hwy/24 mpg combined. 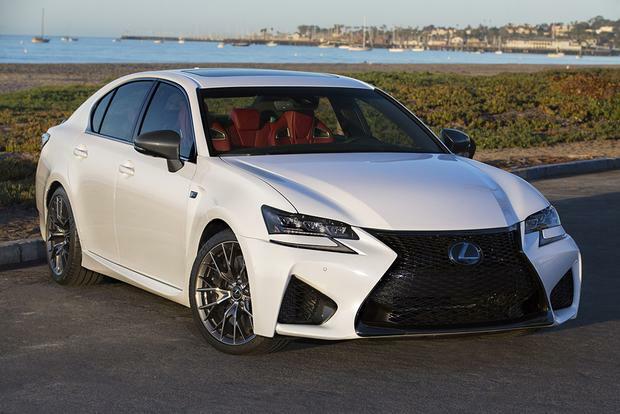 The GS 350 uses a 3.5-liter V6 that develops 311 hp and 280 lb-ft of torque. Fuel consumption for the rear-drive version is 20 mpg city/28 mpg hwy/23 mpg combined or 19 mpg city/27 mpg hwy/22 combined in F Sport guise. 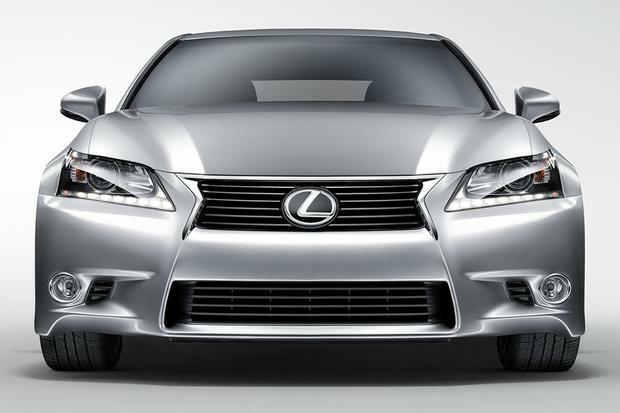 All-wheel-drive GS 350 models achieve 19 mpg city/26 mpg hwy/22 mpg combined. 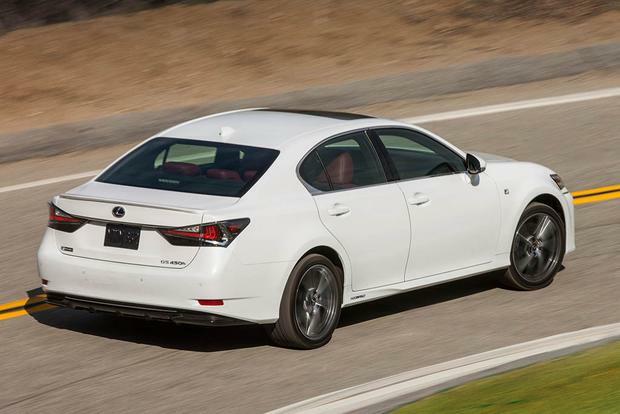 Both the GS 200t and the rear-drive GS 350 have an 8-speed automatic transmission. The all-wheel-drive GS 350 has a 6-speed automatic transmission. For a little more power, check out the GS 450h hybrid. Rated at a combined 338 hp (Lexus doesn't quote torque figures for its hybrids), this machine employs an Atkinson-cycle V6, two electric motors and a nickel-metal hybrid battery pack. A continuously variable transmission (CVT) sends that energy to the rear wheels only. Fuel economy is an outstanding 29 mpg city/34 mpg hwy/31 mpg combined. For a lot more power, the GS F (not to be confused with the F Sport) has a 5.0-liter V8 endowed with 467 hp and 389 lb-ft of torque. It's linked to an 8-speed automatic transmission that drives the rear wheels. Fuel consumption is 16 mpg city/24 mpg hwy/19 mpg combined. The 2017 Lexus GS sedan is offered in GS 200t, GS 350, GS 450h and GS F trim levels. The GS 200t ($47,285) starts out with 17-inch alloy wheels, LED headlights, a sunroof, keyless entry with push-button start, a rearview camera, a power tilt-telescopic steering wheel, 10-way power front seats, synthetic leather upholstery, driver's-side memory functions, drive mode selection, self-dimming rearview and side mirrors, ambient lighting, wood trim, a trip computer with a color TFT display, a 12.3-in infotainment screen with the Remote Touch controller, dual-zone automatic climate control, navigation, Bluetooth and a 12-speaker Surround Sound audio system with DVD audio capability, satellite radio, auxiliary input and iPod/USB connectivity. 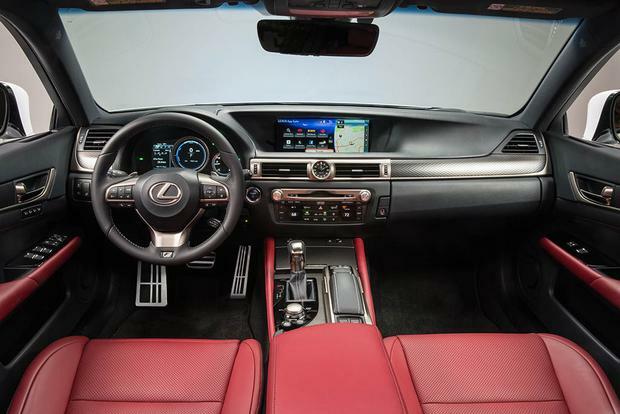 The GS 350 ($51,670) comes with the V6, 18-in alloy wheels and real leather upholstery (except for the 2017 base all-wheel-drive version, which gets synthetic leather and is therefore less expensive at $51,340). The GS 450h ($64,610) gets the hybrid powertrain, hybrid-specific gauges and readouts, exclusive bamboo trim, heated/ventilated front seats, a heated steering wheel and a power rear sunshade. Aside from the bamboo and the hybrid hardware, the GS 450h's extra features are available on the other models as options. 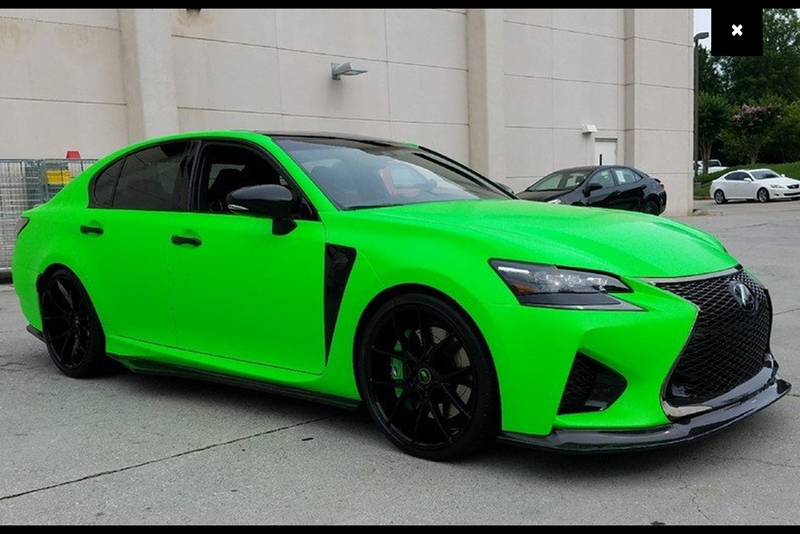 The V8-powered GS F ($84,915) has almost everything as standard, including an adaptive suspension, a carbon fiber rear spoiler, 19-in alloys and a quad sport exhaust system. Additional options include an adaptive suspension, a head-up display, a power-closing trunk lid, 18-way multicontour power front seats, semi-aniline perforated leather upholstery, heated rear seats, a power sunshade and a 17-speaker/835-watt Mark Levinson audio system. The enthusiast-oriented F Sport package adds 19-in wheels, variable-ratio steering, rear-wheel steering (rear-wheel drive only), exterior styling revisions, bigger front brakes (rear-drive only), sport-tuned adaptive dampers, a 12-way power sport driver's seat with adjustable side bolsters, and special interior materials. Trunk space amounts to 18.4 cu ft. in the regular GS, 15.9 cu ft. in the hybrid and (according to Lexus) 14 cu ft. in the GS F. The rear seats don't split and fold, which might be occasionally irritating, although there is a pass-through hatch. The GS comes with standard stability control, 4-wheel anti-lock disc brakes and 10 airbags (front, front side, front knee, rear side and full-length side curtain), and blind spot monitoring with rear cross-traffic alert. All models include Enform Safety Connect, a 24-hour response system that dispatches help if necessary and can also find the vehicle if it's been stolen. The government has not crash-tested the GS, but the independent Insurance Institute for Highway Safety (IIHS) gave the car its highest rating of Good in every category but one; the GS has yet to go through the IIHS's small-overlap front crash test. The cabin is unmistakably upscale, from the supple dashboard materials with contrast stitching to the exquisite perforated leather trim in fancier models. The hybrid-powered GS 450h even offers a bright bamboo trim that wouldn't look out of place on a luxury yacht. 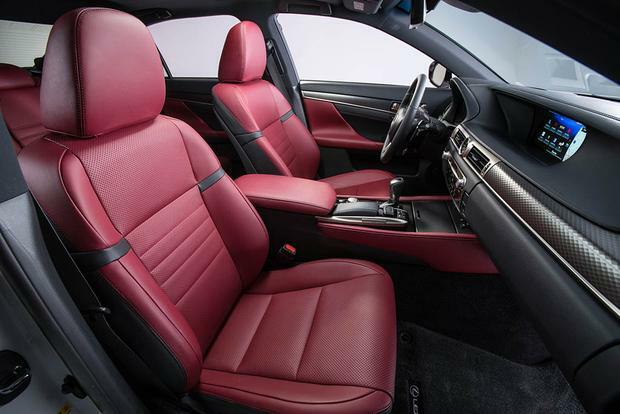 The back seat is another win: With ample legroom, excellent support and a sleek, business-class feel, the rear quarters make the GS as satisfying to ride in as it is to drive. The standard V6 has been a longstanding fixture in the GS engine bay, but it's still a gem, delivering direct-injected thrust with vigor and refinement. The 8-speed automatic (rear-drive only) helps the engine stay in its sweet spot during acceleration while also contributing to decent fuel economy. There's a nice balance to the rear-drive GS 200t, with its lighter engine up front. Its maximum torque kicks in at 1,650 rpm, quite low in the power band, so there's some useful turbocharged surge to play with. Although the hybrid system's added weight keeps the more powerful GS 450h from being notably faster than its conventional counterpart, there's no doubt this is one hot hybrid, particularly with a CVT that simulates the shifts of a regular automatic. Like all Toyota/Lexus hybrids, the GS 450h is dual-mode, so it can operate solely on electric power at low speeds and under light throttle. 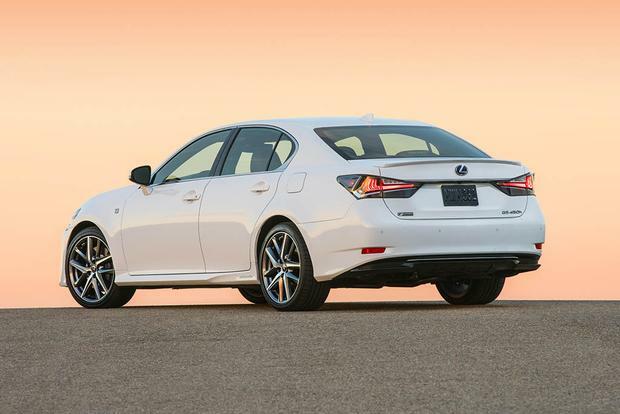 At speed, the GS has the confident, controlled attitude that sets great luxury sport sedans apart. The steering feels artificial, but it's highly responsive to driver inputs. This is a long car, so it seems less at home in tight corners, but body roll is kept nicely in check, especially with the F Sport's sport-tuned adaptive dampers and rear-steering feature. Nonetheless, even the F Sport retains a pleasantly supple ride on imperfect pavement, although the base model is more compliant. The optional non-sport-tuned adaptive dampers make it smoother still. Road and wind noise are virtually nonexistent. The GS F's adaptive suspension fixes a driving complaint that the ride quality wasn't sufficiently refined. 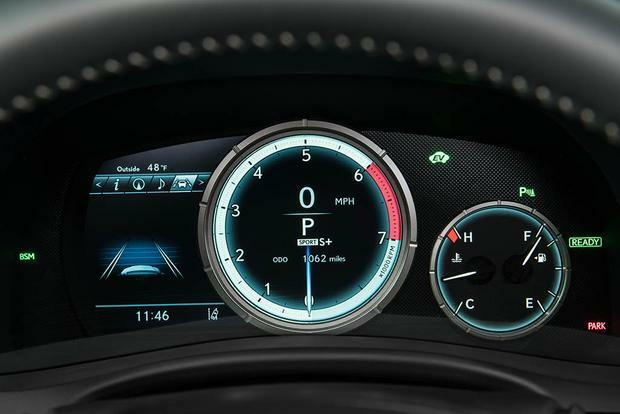 Lexus claims the F can go from standstill to 60 mph in 4.5 seconds -- that's only fractionally slower than a Corvette. 2017 Acura RLX -- Well-equipped. The Sport Hybrid version could be an alternative to the GS 450h. 2017 Audi A6 -- It's a tough world out there. Most rivals to the GS are some of the best cars ever. The A6 is a prime example. 2017 BMW 5 Series -- Edging more toward luxury than sporty these days, but still wonderful to drive. 2017 Cadillac CTS -- Ready, willing, able and American. 2017 Jaguar XF -- Sleek and supple. 2017 Mercedes-Benz E-Class -- All-new for 2017 and loaded with advanced technology. Used Audi A8 -- At this level, there are all sorts of intriguing alternatives. If style and space are paramount, check out a certified pre-owned A8.